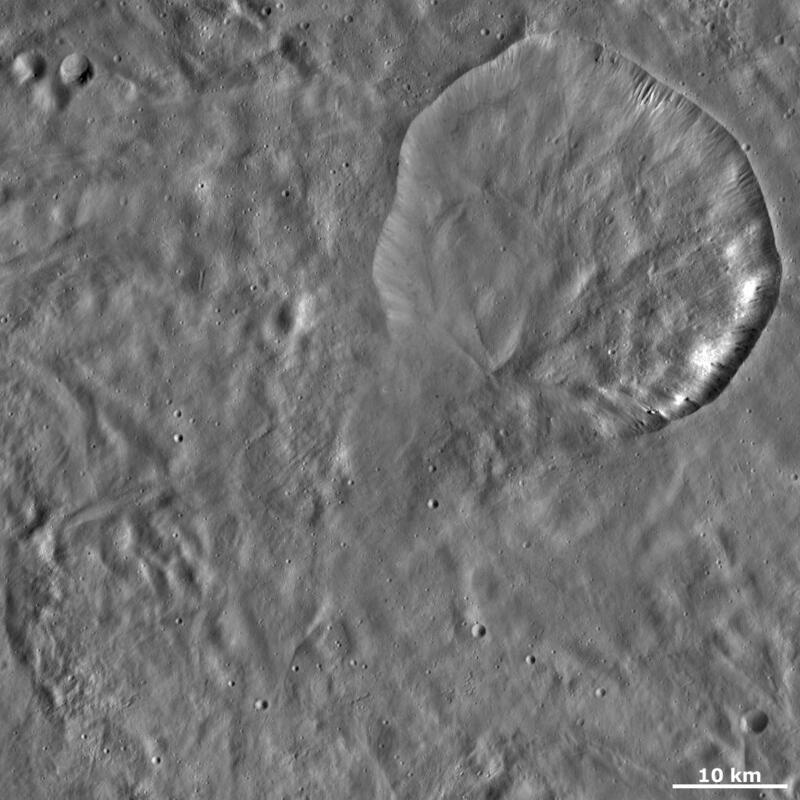 This Dawn framing camera (FC) image of Vesta shows Aquilia crater. Aquilia is the large crater in the top right of the image that is nearly 37 kilometers (23 miles) in diameter. Part of Aquilia's rim is fresher than the other part. The bottom part of the rim is especially degraded. 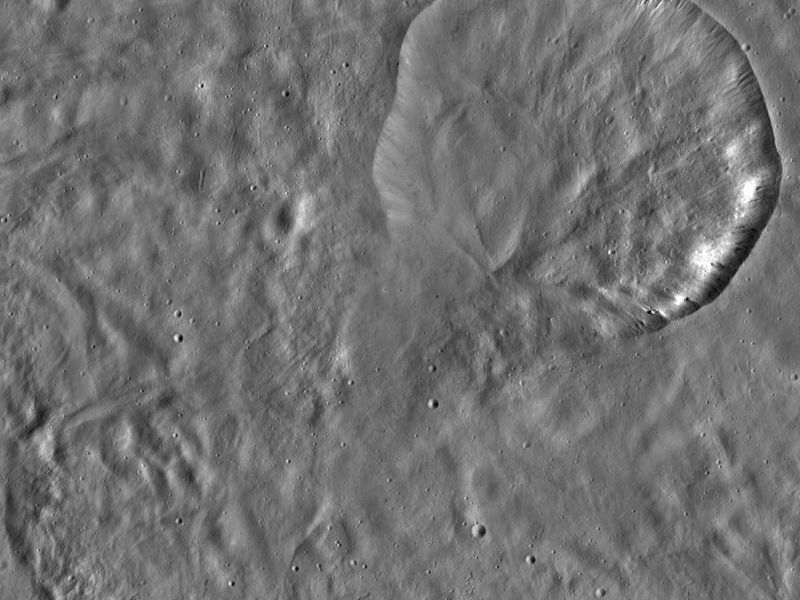 The especially degraded rim was probably formed by debris slumping into the crater, which then obscured the rim. The point at which the debris comes to a stop inside the crater is visible as a diagonal line running across the bottom part of the crater. 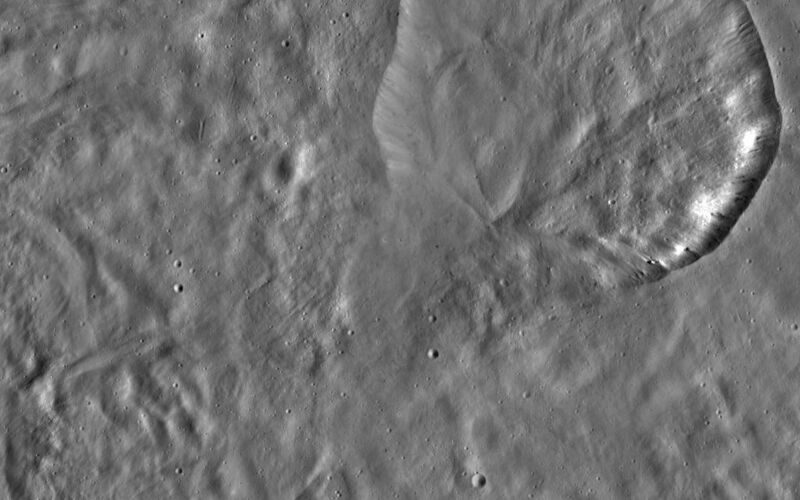 On the top right side of Aquilia there are many grooves and ridges, which are probably also formed by slumping of material on a smaller scale. This image is located in Vesta's Pinaria quadrangle, in Vesta's southern hemisphere. 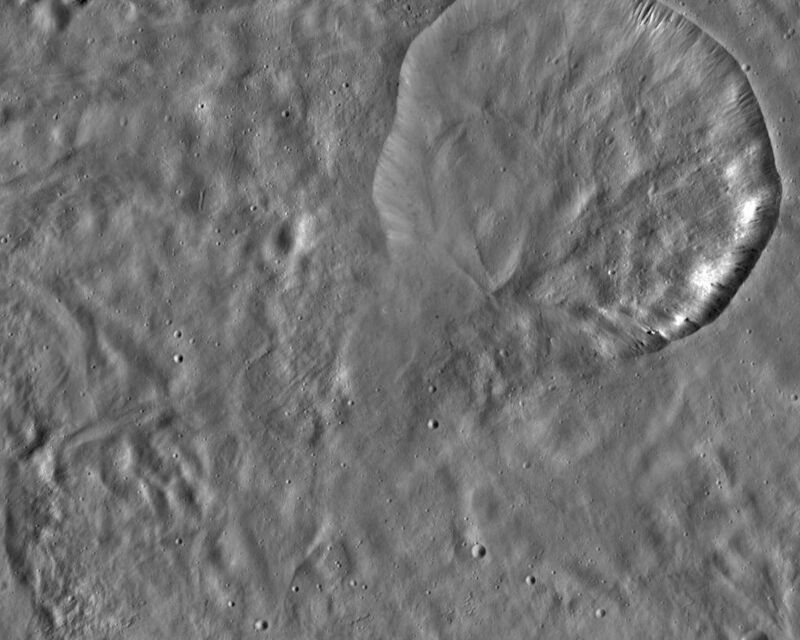 NASA's Dawn spacecraft obtained this image with its framing camera on Oct. 16, 2011. This image was taken through the camera's clear filter. The distance to the surface of Vesta is 700 kilometers (435 miles) and the image has a resolution of about 68 meters (223 feet) per pixel. This image was acquired during the HAMO (high-altitude mapping orbit) phase of the mission.